If you’re looking for high-quality transmission maintenance service in Hesperia, California, then you can halt your search right this very minute. Road Runner Auto Care is a prominent Hesperia business that specializes in transmission maintenance work. 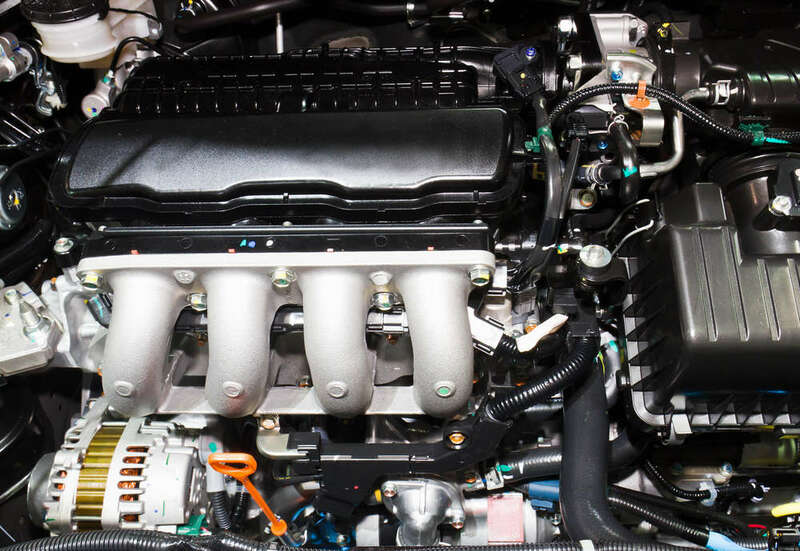 If you want to keep your Hesperia automobile’s transmission in excellent shape, you can depend on our team of highly dedicated and skilled mechanics here at Road Runner Auto Care. Our auto shop has a staff of some of the finest auto technicians in the area. Our family-run company specializes in all types of auto care. 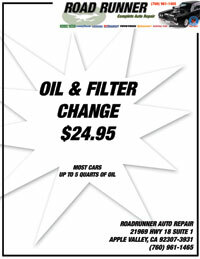 If you need a standard oil change in Hesperia, we can help you out. If you need significant mechanical work for your vehicle, we can help you out with that, too. Transmission maintenance is yet another valuable service that’s available from our company. When our Hesperia technicians perform transmission maintenance on vehicles, their goal is to keep problems with the mechanism at bay. If there’s something wrong with your auto’s transmission, you may experience a number of key signs. These symptoms may include difficulties in shifting gears, strange whining sounds, a bizarre burning smell, transmission fluid that has a murky look and finally, transmission fluid that’s leaking. If you have any of those problems in Hesperia, then there’s a very strong chance that your vehicle has transmission troubles. If you want to protect your vehicle from the hassle of transmission problems in Hesperia, the best way to do so is by visiting our auto shop for frequent transmission maintenance service. Our diligent and skilled mechanics will make sure that your Hesperia transmission is always working at 100 percent. Remember, your auto’s transmission is extremely important in Hesperia. If you want your vehicle to run as smoothly and safely as possible, its transmission has to be in good condition at all times. When you need transmission maintenance for your vehicle in Hesperia, Road Runner Auto Care is a fantastic company option for you. If you make sure your transmission gets maintenance service a minimum of once annually, you can experience a much higher level of peace of mind and security. Not many things can top that. Our auto technicians will switch out your filters if required, bring in new fluid and assess your transmission for the presence of leaks. If you need transmission maintenance in Hesperia, California, call us at Road Runner Auto Care as soon as possible to schedule an appointment. Our mechanics are talented and hard-working professionals.